Nobody likes shaky videos recorded with a cell phone! Can we get from shaky to sharp at an affordable price with a Smartphone Stabilizer? 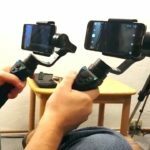 Let’s find out when we take a closer look at Snoppa M1 a gimbal smartphone stabilizer that might be the BEST alternative OSMO Mobile. This is the smartphone gimbal you did not see on Unbox Therapy. We will look at of the key features of this 3-axis smartphone gimbal and let you know if it’s HOT or SNOT. 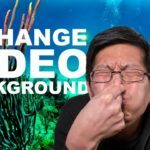 M1 recently raised $600.000 on IndieGoGo and promise to make YOU look like a professional filmmaker. 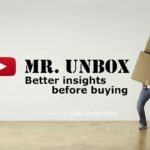 Welcome to Mr. Unbox a channel where we unbox consumer electronics and share first impressions to help YOU get better insights before buying and equally important hit the bell notification icon next to it so you miss out the important stuff and you will become the gadget guru among your friends. Are you using stabilization for recordings with your cell phone, what are you using and how, share your best tips in the comments section below. The same goes for questions about the product. Pan Track Mode follows the user horizontally while shooting. Lock Mode shoots in all directions with the phone stable and fixed. Omni Track Mode allows the cinematographer to shoot in all directions with the phone following their movement. Portrait Shooting Mode stabilizes the creator’s shooting vertically. Automatically rotate smoothly and capture richly detailed high-resolution 360-degree landscape photos. Usually, to shoot motion time-lapse videos you would need professional tracking equipment, but the Snoppa M1 makes it simple and affordable. Via the Snoppa M1 app amateur videographers have the ability to capture incredible multiple-exposure images for vivid and exciting stills. 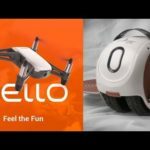 Is this the best smartphone gimbal 2017 and be considered an alternative Osmo, this really depends if your are in the market for a cheap smartphone gimbal or the best budget smartphone gimbal and can live with out the more advanced features of the DJI Osmo mobile. 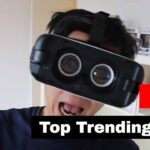 Hope you enjoyed this unboxing and first impression of best iPhone gimbal 2017. If you did make sure to smack that like button below and make sure to leave a comment telling us what you think about this product. This is our other channel, with a lot a great tutorials, tips, and reviews for drones and electric unicycles to help you get the best out of your equipment.